Everybody says that there is nothing in the world as cute as a baby and they might have a point. 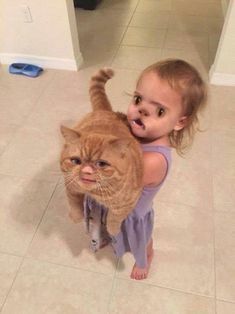 But sometimes, even the most adorable things can take a weird turn and become creepy as hell if you take them out of context or in this case, if you take the face and put it in a different body. 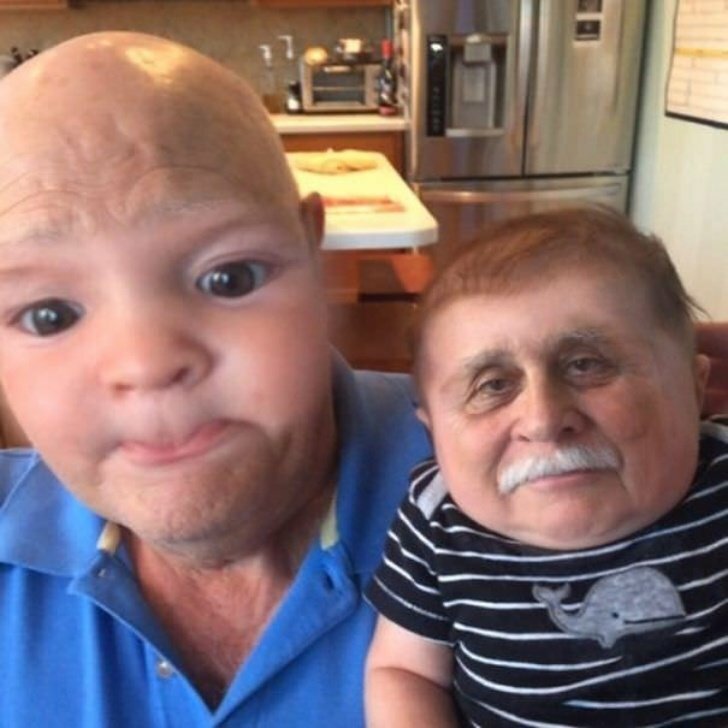 Face Swapping became a huge sensation and was one of the most famous filters Snapchat ever made, which caused many people to start swapping their faces with anything and anyone they would come across. 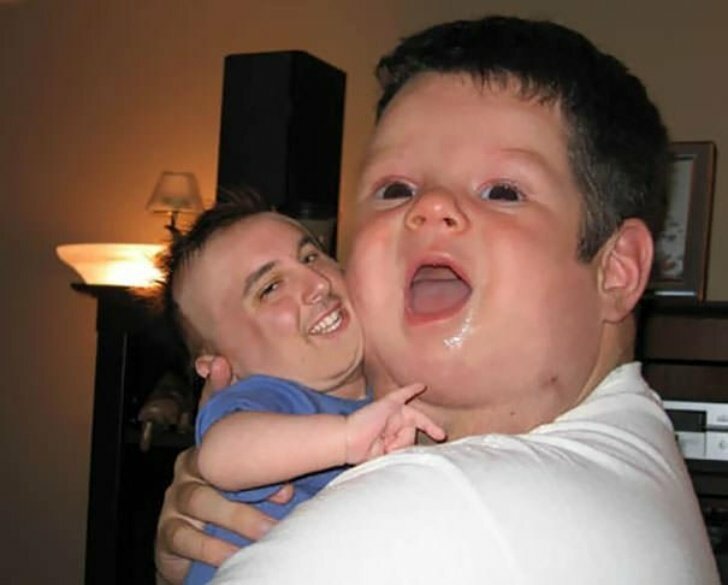 This is why you should never do it with a baby unless you want to end up with this weird memories. Look! Someone thought it was a great idea to swap this little girl's face with her cat's making one strange scene. But come on! She certainly still is the most beautiful girl NOT. Let's imagine a "Face Freaky Friday" situation. The baby has to go to work while his dad stays at home eating and sleeping. Won't you see that movie? Of course you won't, i wouldn't either. This is what happens when you do a duckface at the same time with someone else. Banning duckfaces will save thousands of people from change places. 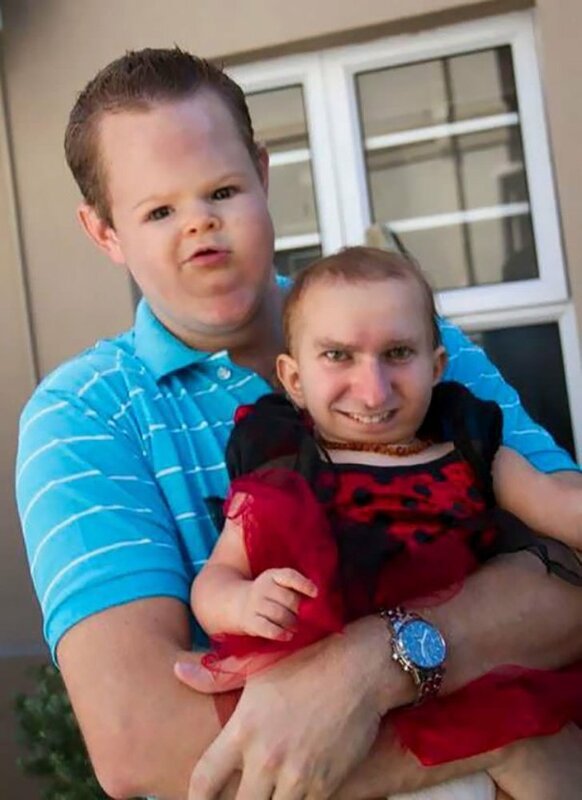 This message has been brought to you by the Victims of Faceswap association. 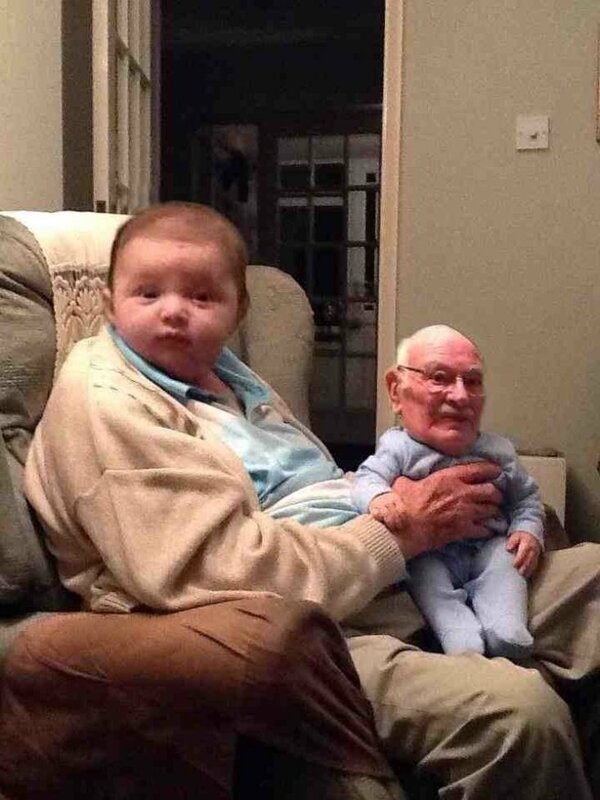 Yes, this is a miscalculation from the app as long as the idea was to faceswap with him. But then, someone took this picture just for fun and the result is quite creepy. We blame that person vigorously. Talking about creepy decisions, did they have to take this picture just to have a good time? 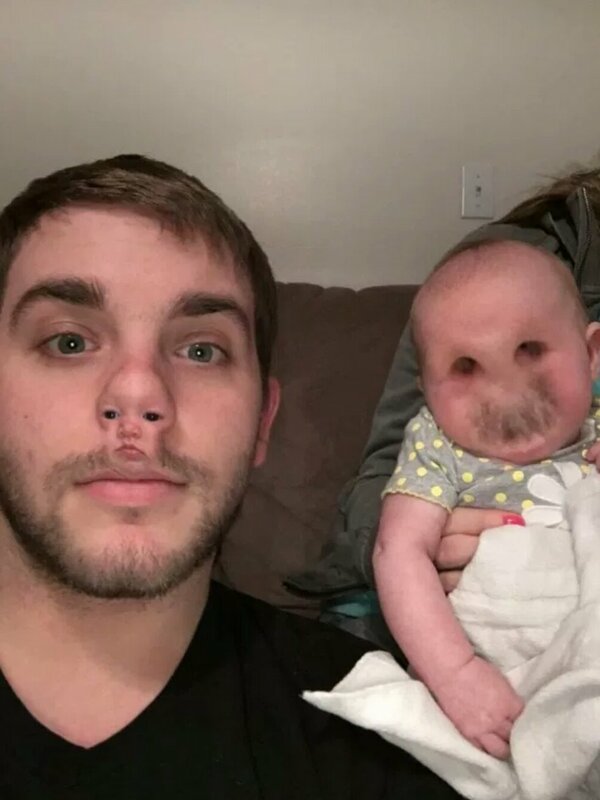 That baby looks like a poster for a horror film and that baby face nose is disturbing. Now this seems an extract from a strange dream. Maybe we should take it to a psychologist to analize why someone would like to see the picture of a grandmother being fed by a baby. It seems we have a list full of creepy decisions. We appreciate the intention of sending best wishes for everyone they love, but did they have to do this? 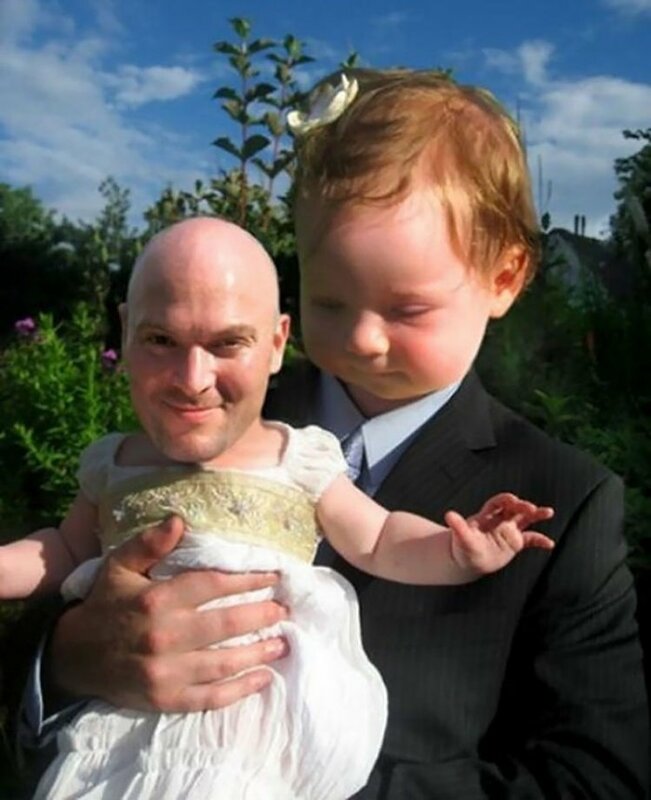 CREEPIEST. CARD. EVER. REALLY? 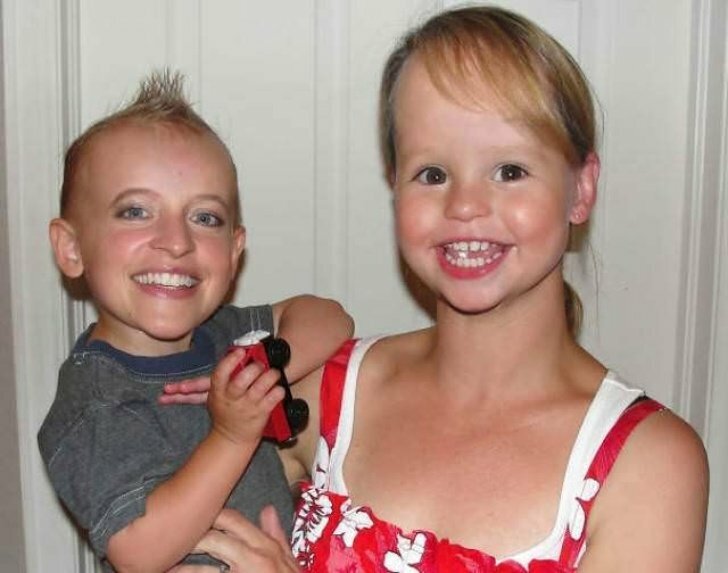 This is so disturbing i can't even begin to describe it. 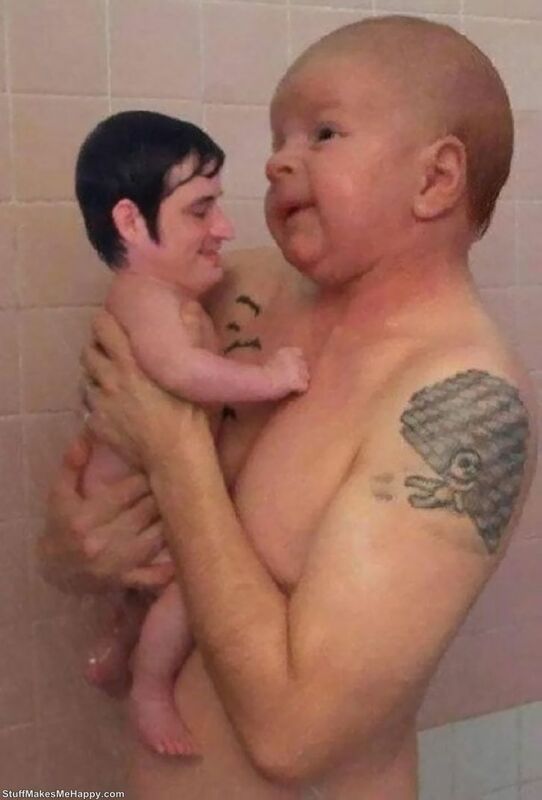 I know that bathing with your baby is something people do, but don't take a picture to faceswap it. Please don't. 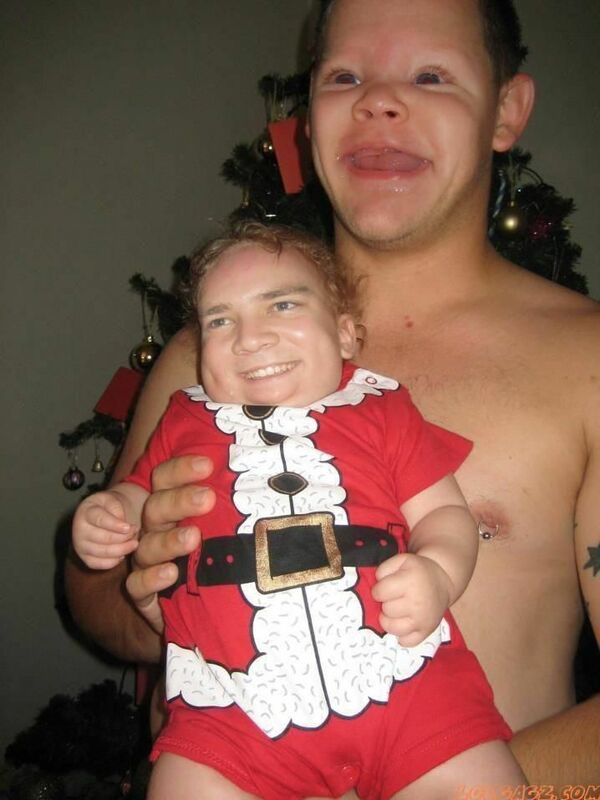 I'm starting to think people really love to swap their faces with their babies. They look happy, they're not worry this could be extremely embarrassing. It seem they're really proud of it. I really don't get it, but good for them. 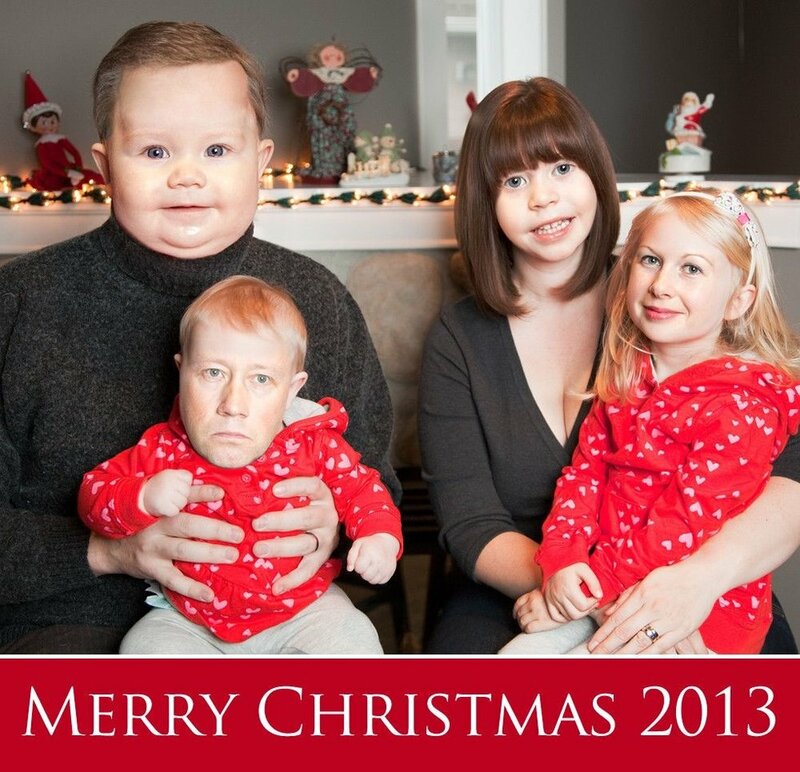 The fathe'r face in the baby's body seems to be relaxed, like he might need a diaper change after that. Now, the baby's face in the father's body looks almost like a younger version of Mr. Filch from the Harry Potter's movies. That's a cute picture. 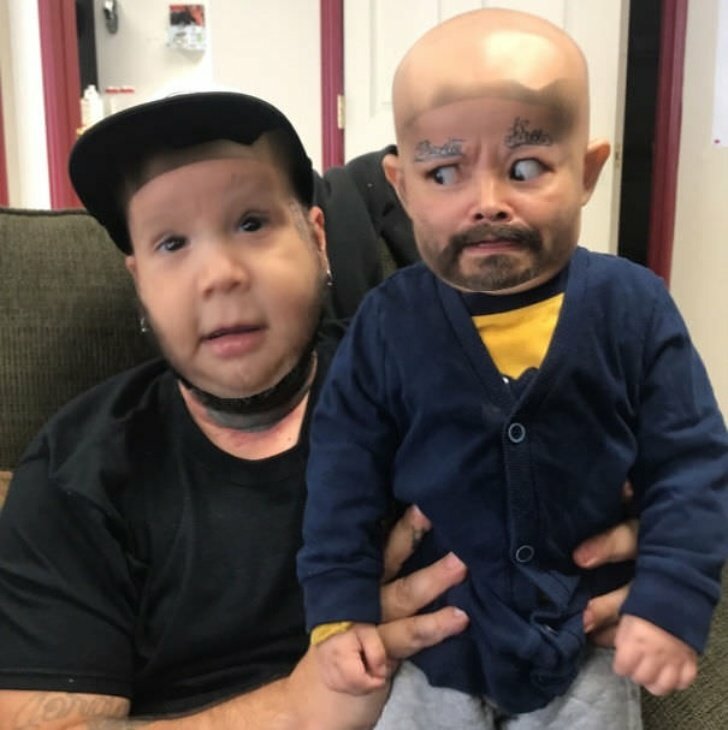 A giant baby with arms covered in tattoos and a little baby with facial hair. 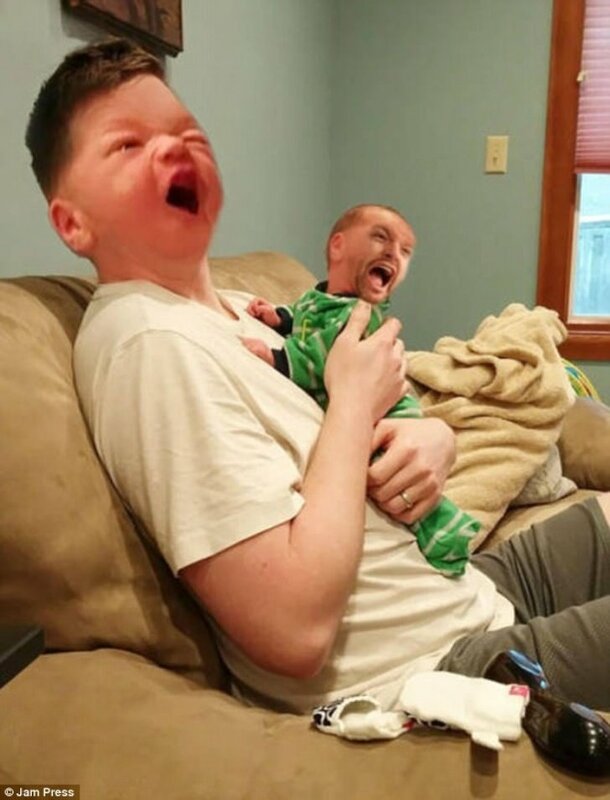 This is why people invests a lot of time using faceswapping apps, to capture a beautiful moment and creep the hell out of it. A couple of years from now someone will remember the moment when someone said "Hey! 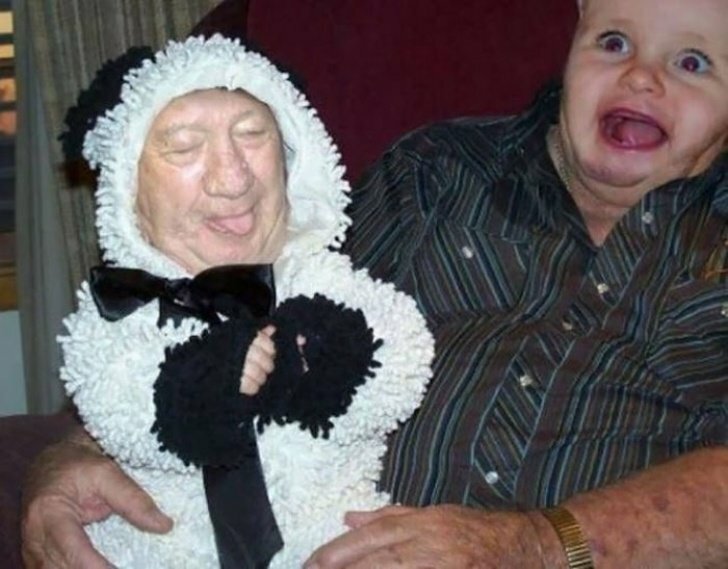 Why don't we just take a picture of grandpa and the baby and then swap their faces! That will be so much fun!". 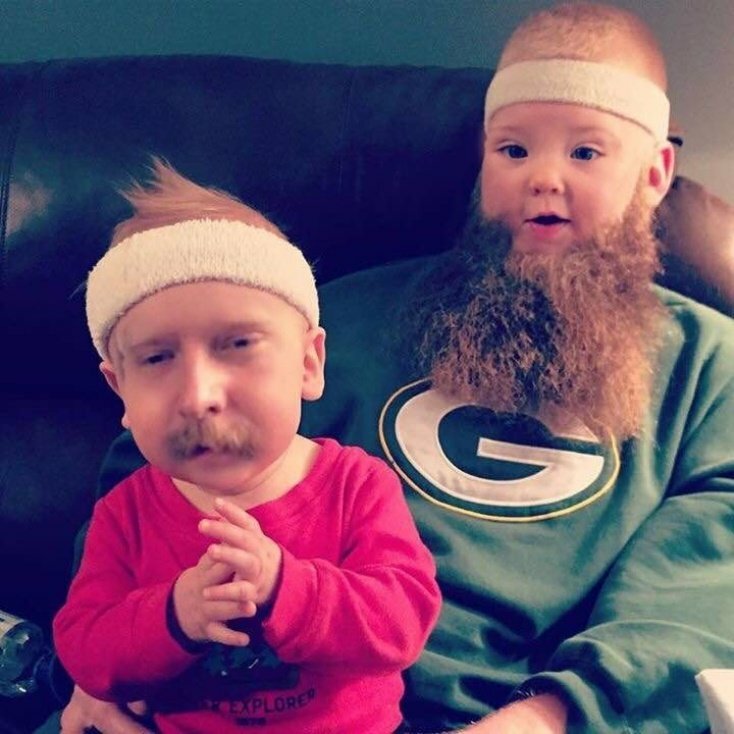 It seems that people with facial face love to see their moustaches, goatees or beards on their babies and they don't find that strange or weird at all. But who are we to judge them? Well, i have to say that that terrified baby face worth the picture, the faceswap and the fact that we got a picture with a midget santa and a creeped out giant baby. Ho ho hopefully they'll did it again next year. 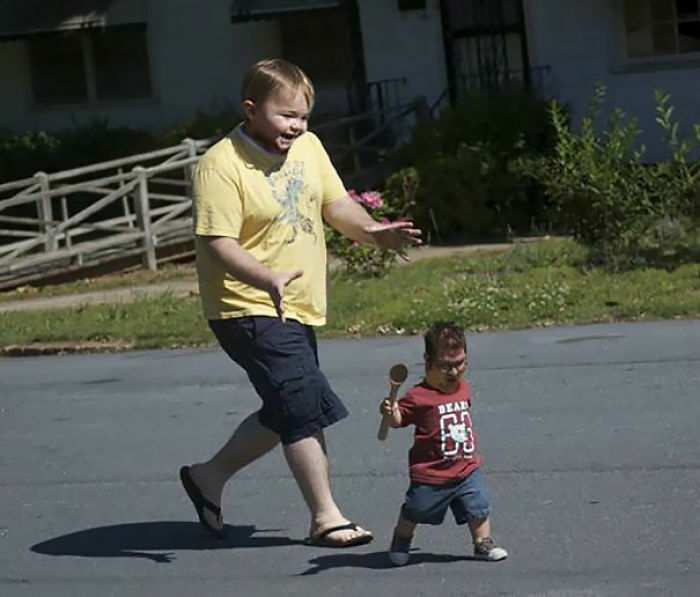 Remember that Wayans' brother film where one of them plays a little man that passes as a baby to con people? 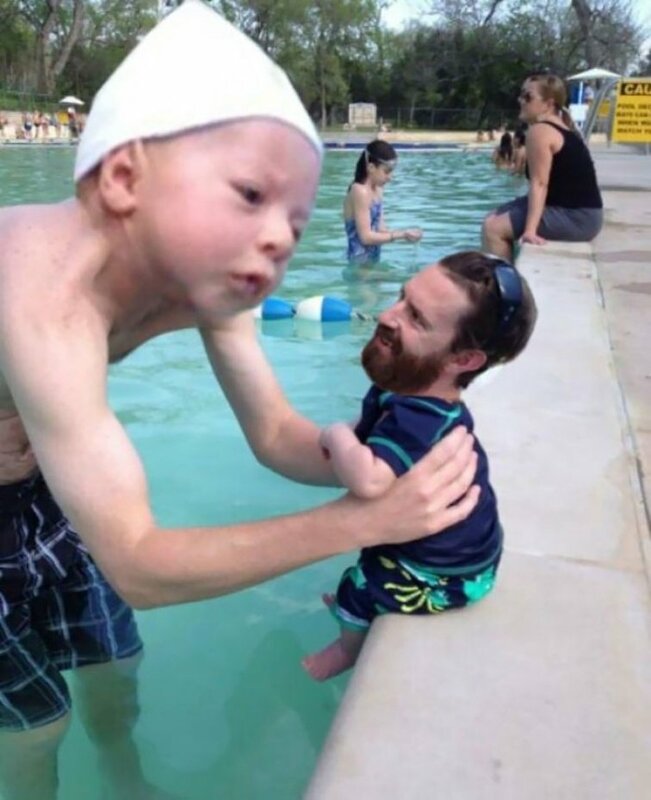 Well, it seems that a sequel is in order and it will have grown man with baby face. Fun. Let's caption this one: The baby man says "I'm going to get you little one, you won't escape from my hug" and the other one says "Come on, i have to get home and watch some cartoons". This is the opposite to the christmas swap before. 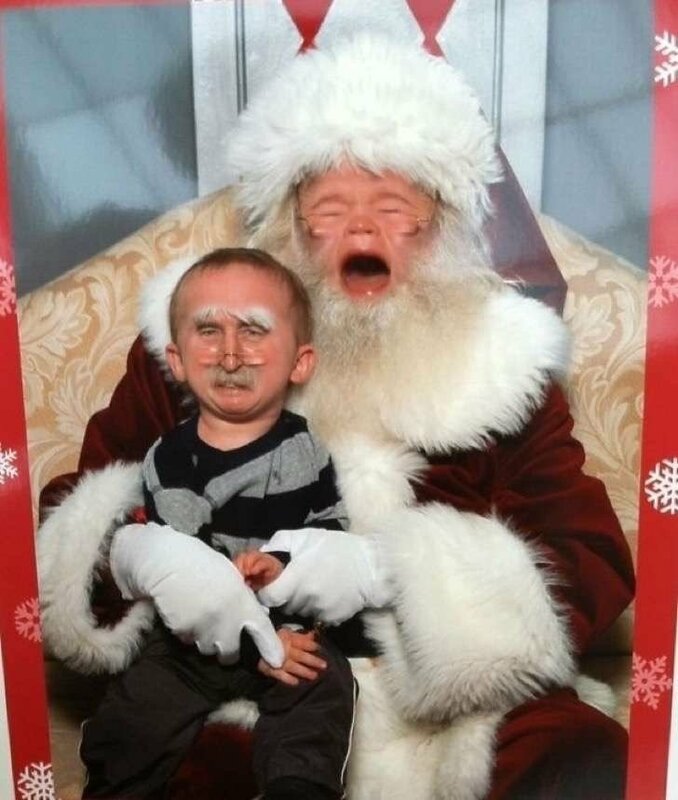 In this case, Santa cries because he had to take a picture with some relative from Mad's Alfred E. Newman. Worry, he not? 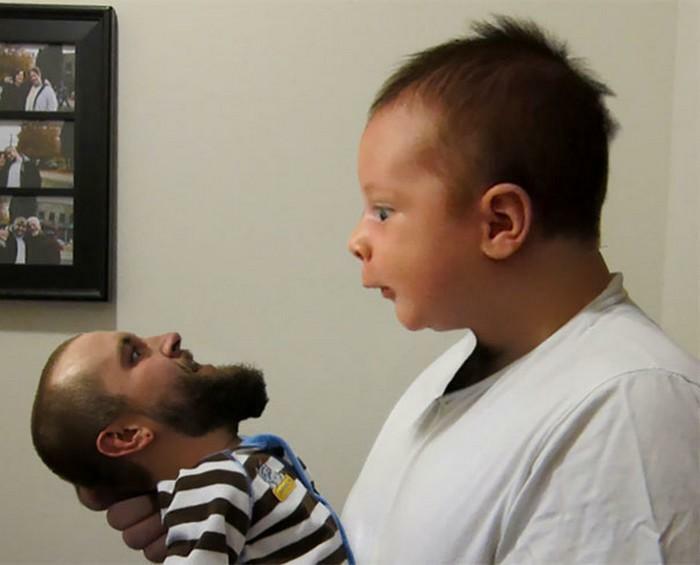 It seems that the giant baby want to eat the little bearded man and is trying to see if facial hair must be removed first or just it might bring an extra flavour to it all. 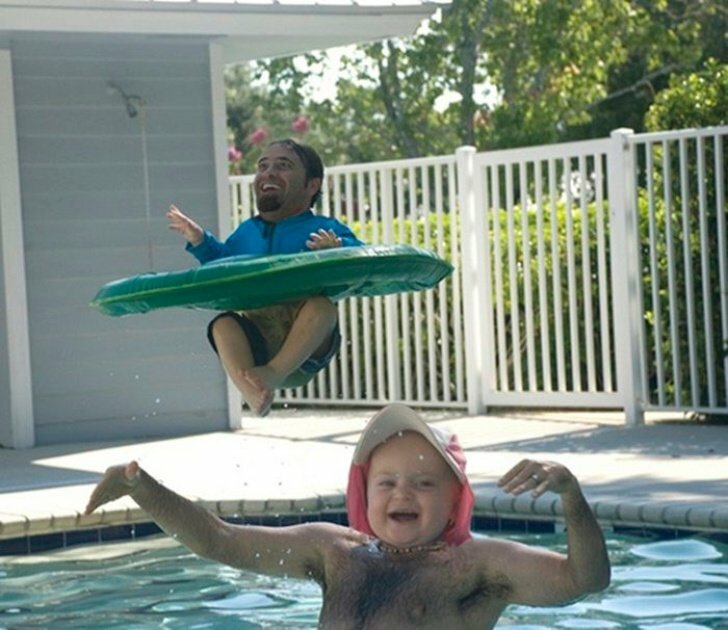 Can we say that some baby face man took to the pool a little Messi? And that the little Messi swore not to make any mess because he's fed up to hear about he's going to do a little Messi. 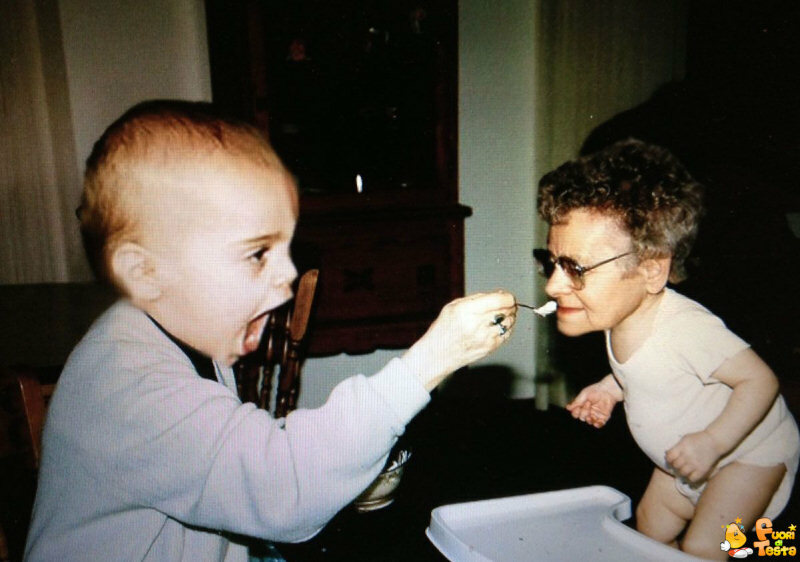 If i were the man-faced baby I would be really worried because i would be very close to baby-faced man and his saliva covered mouth. Just get out of there, please. Is there anything cuter than a grown up size baby girl taking in arms a bald headed girl in her wedding day? Of course there is, but this counts as a cute image and we like it quite much. We love when a baby with a grown up face comes up with an adult with baby face. 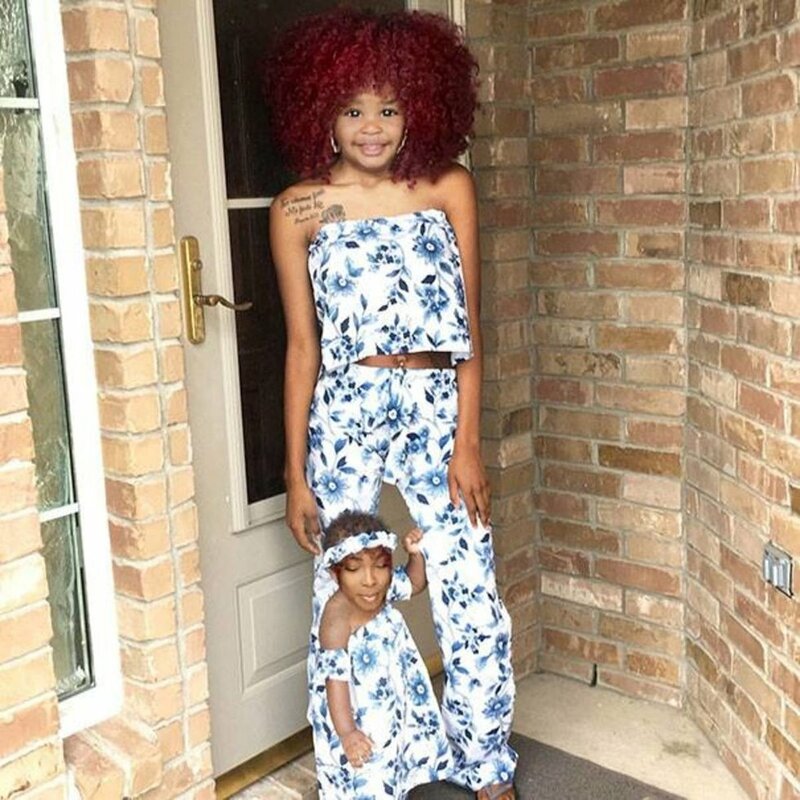 An if you add up they have matching clothes, we like it more. What can we say? We have a soft spot. 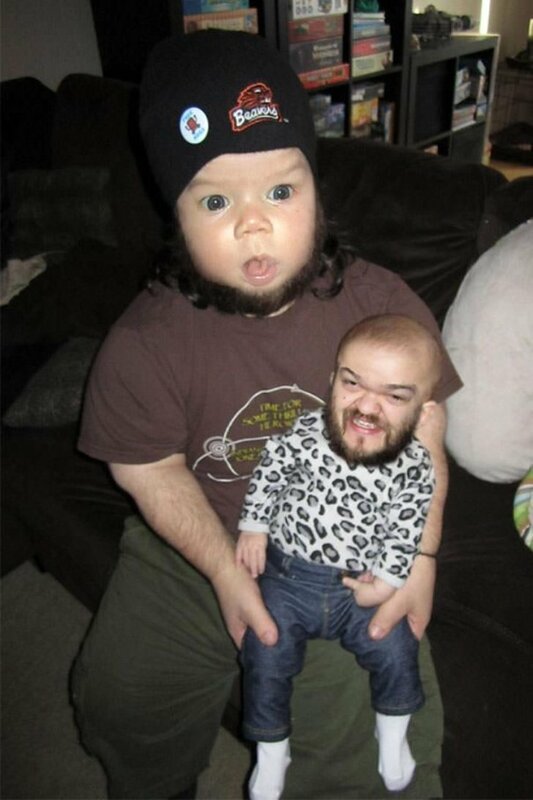 Now here's a great faceswap. One of them is smiling, the other one is shouting like he's going to stop the Persian from invading Sparta. Those are the times we will cherish forever. And here's the opposite. 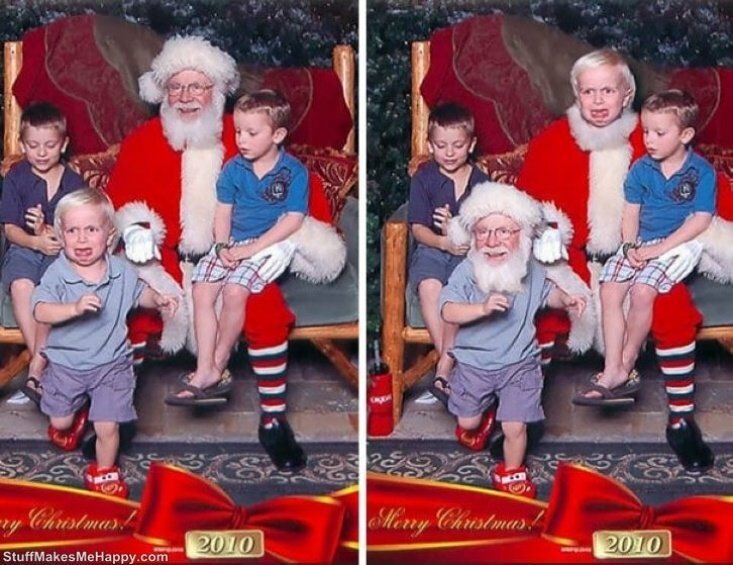 The two of them seems to be having a really, really bad time while they were taking this photo. At least we know they must be in a better mood after they saw the results. Or not. Would Hillary Clinton have won if this was one of the photos of the campaign? 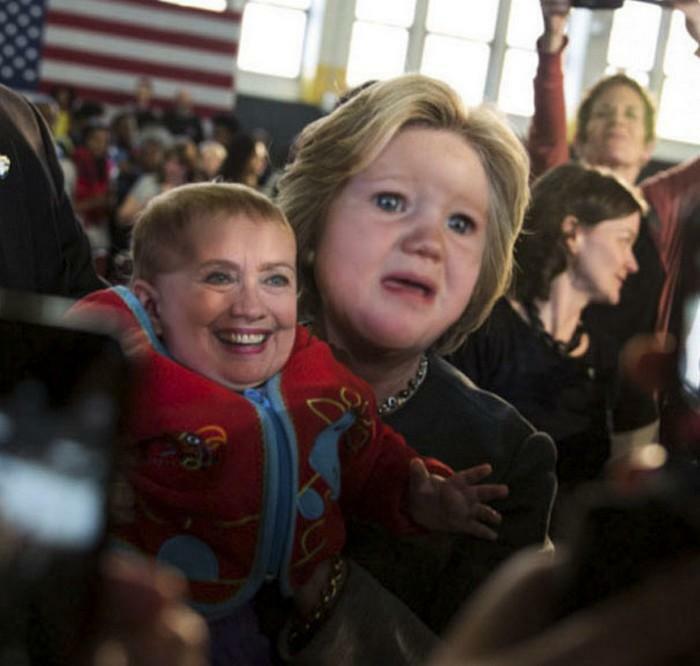 Would a faceswap made the difference in the 2016 election? Do we need to see the same but with Donald Trump? So much questions, so little time for answers. 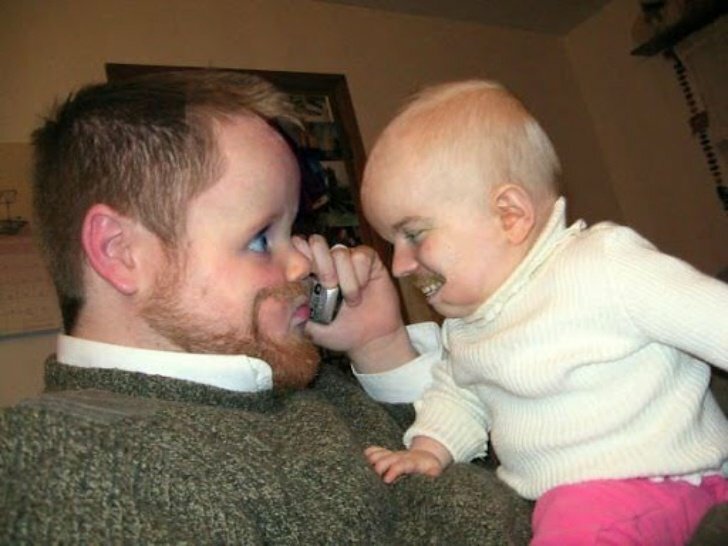 This seems to be a lovely couple of father and daughter playing a lovely game of switching each other faces. The result? Let's say it's a fun game but the consequences might be catastrophic. 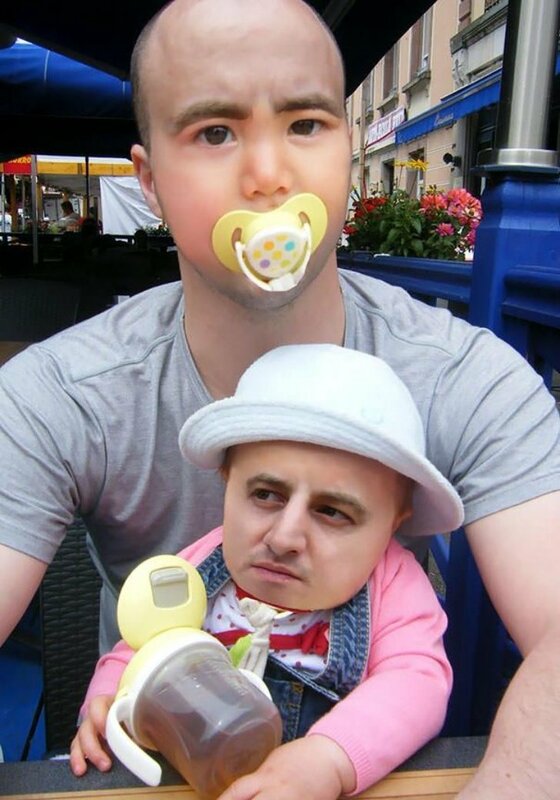 Speaking of catastrophic faceswaps, in this one we have an Evan Handler wannabe hanging around what it seems to be Tweedledum or Tweedledee, we're not sure which one of them is. 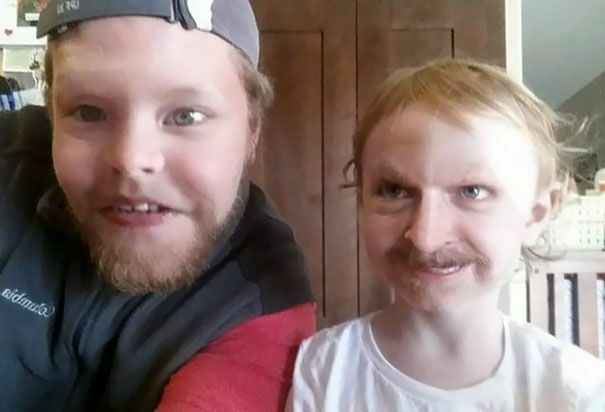 Another beautiful moment between father and daughter with an unnecessary dose of faceswapping. But well, at least they must have some regular photos of themselves. I really hope they do. 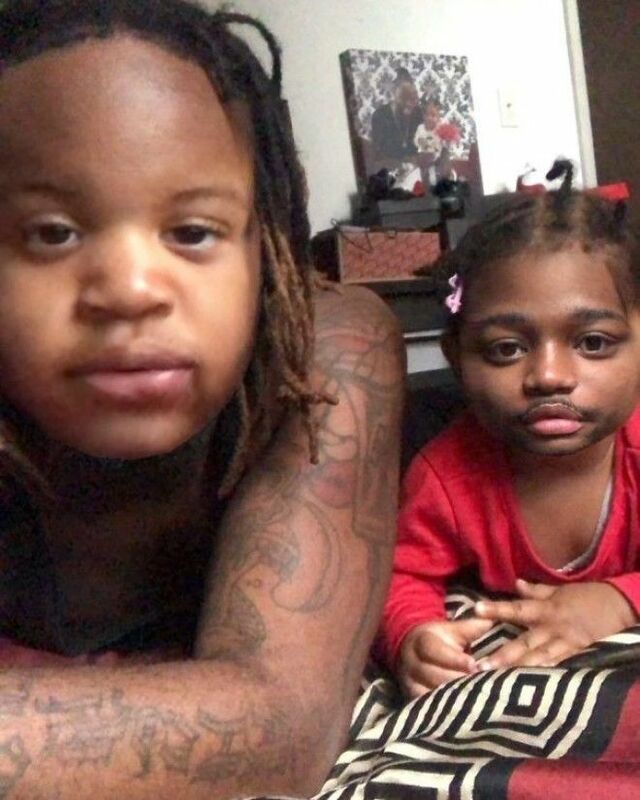 In the near future, people will find old pictures of them where the had swapped their faces with their babies and they'll ask "Why was this a thing? Seriously, why?" 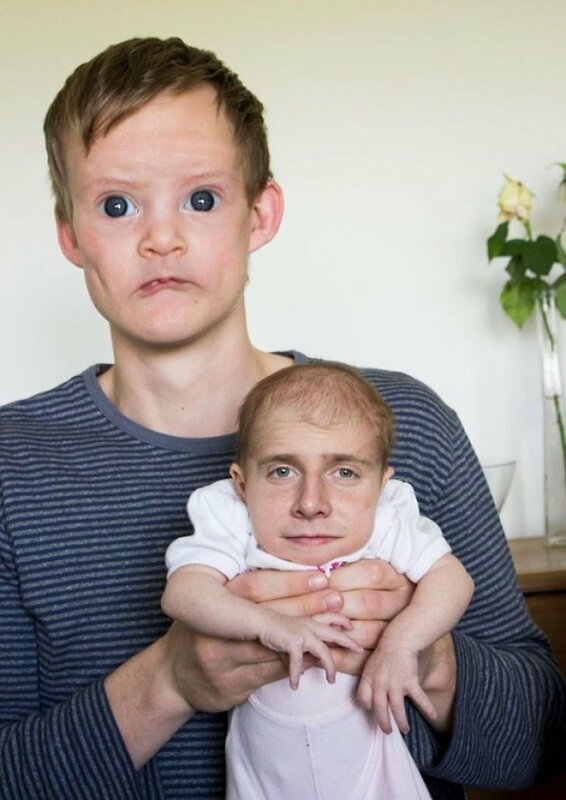 I'm quite concerned about the amount of baby faceswap we can show you. Have they ever considered this might not be a good idea? It seems no one cared because we still have a lot of them to show you. I really could say a lot of things about this photo. I mean it, i had a notepad full of clever jokes about it. But the only thing that summons up what i feel if the face in the right. 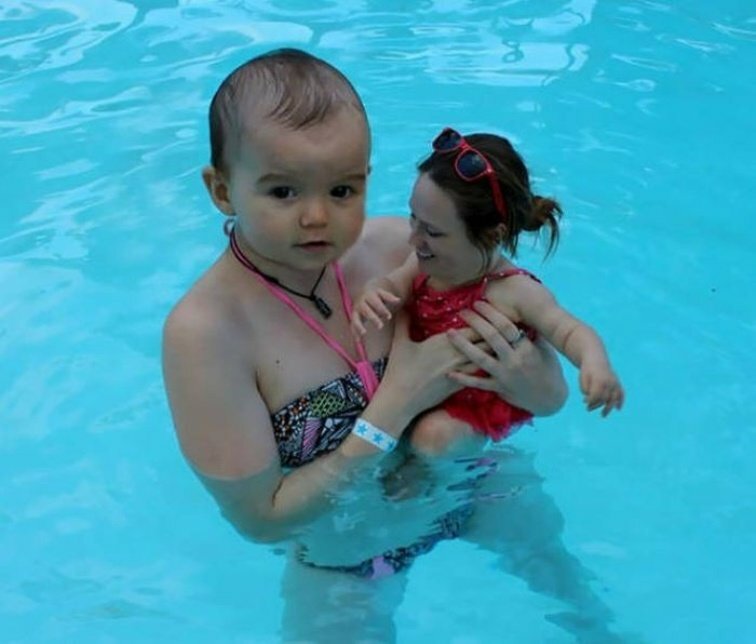 Baby-face woman looks a little bit like Sinead O'Connor and woman-faced baby seems to be looking at her breasts. 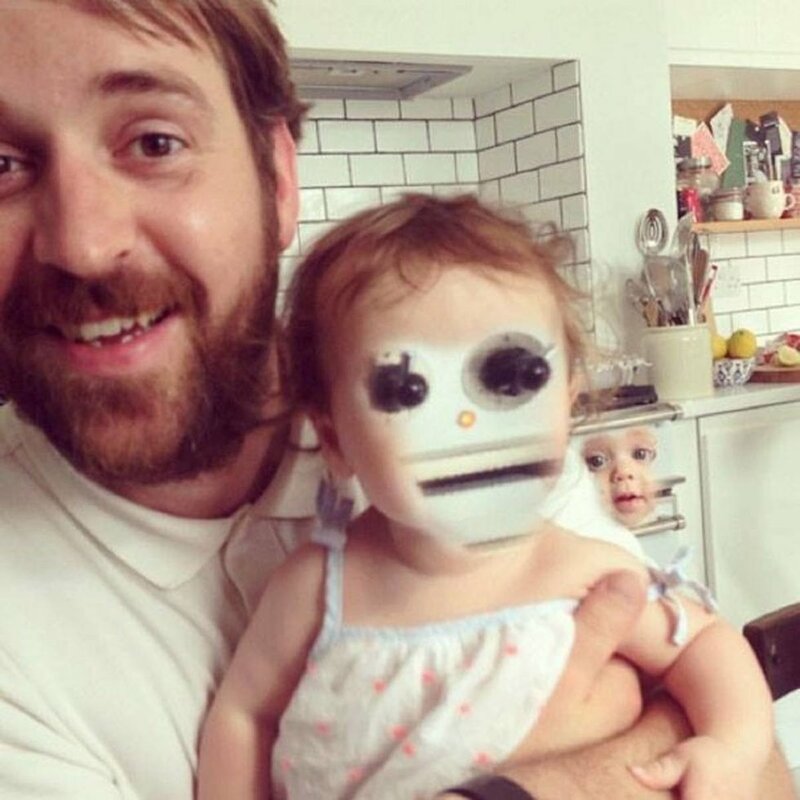 The moral of the story is "Stop faceswapping with babies. Is weird". Double dose of screaming here. Both seems to be shouting a goal, asking rudely for food or they just imagined what it would be like if someone took a picture of them and then swap the faces. No, it's plain weird in here. 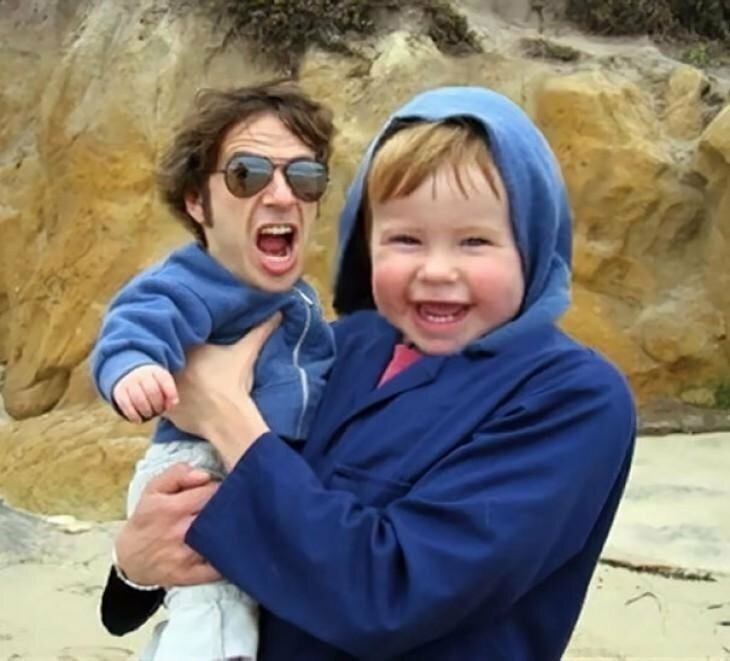 The man looks like a caricature of Dan Akroyd with a supersized forehead and the baby looks like Pepper from American Horror Story: Freak Show. I like that babyface with a moustacheless beard. It give him an 90s skater boy image. Now, the adult face baby is not very amused by the whole photo novelty stuff. That's a frowny face in here. What did happen? You had a rough day? Yo didn't like that you were dress in orange? 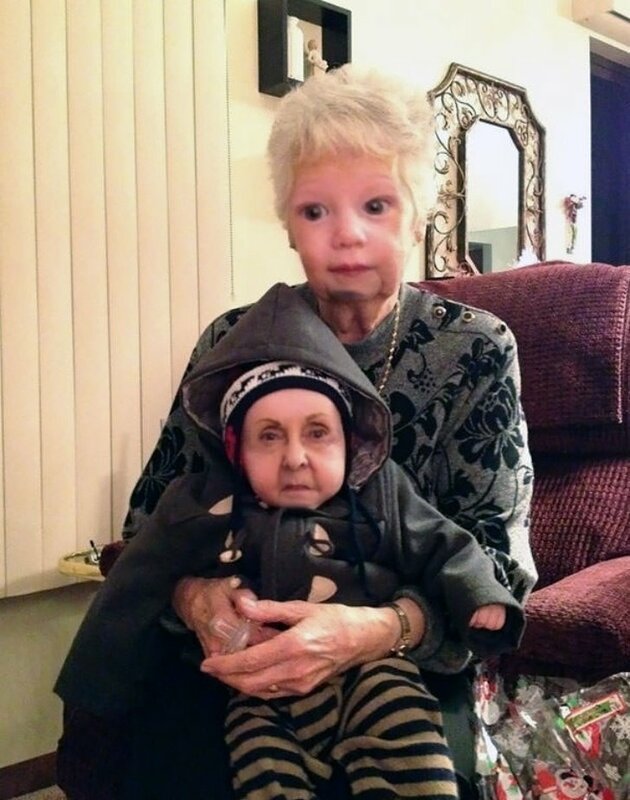 Oh right, you're still not amused by this faceswap situation. I feel you. I like this one for many reasons. The pool cap, the happy face of the one in the inflatable, the joy of them all, the absurdity of the faces in those bodies. I don't know, it seems cute for me. That looks like a rough boy with no cheap sunglasses and he's not a sharp dressed man. But surely he's head's in Mississippi. And this is my cue for stop making reference to ZZ Top songs. An I couldn't find anything to add La Grange. 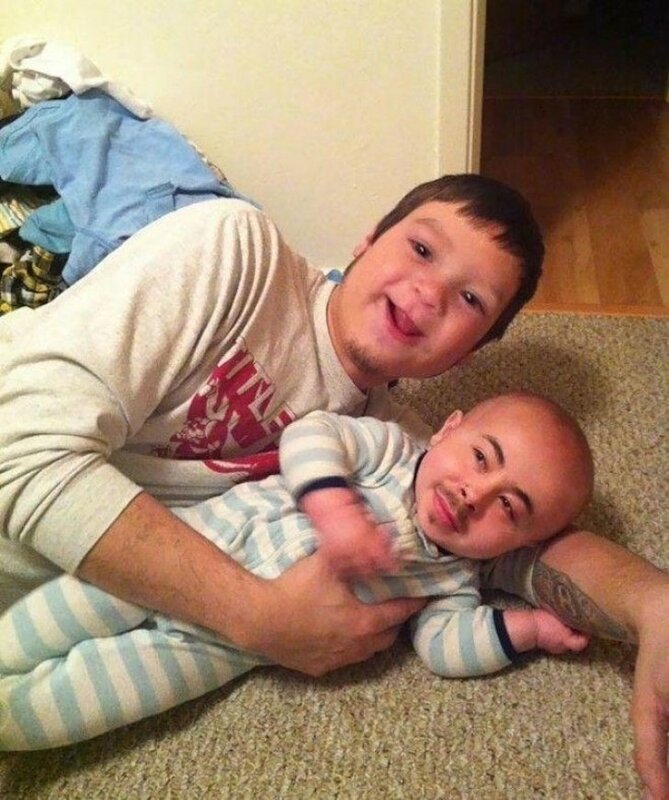 Didn't we already said that moustaches in babies are weird? So why didn't you stop when I told you so? Why? Oh right, technically you can't hear me. That's really a shame. Let's talk a little bit about this photo. Just a moment, not much. 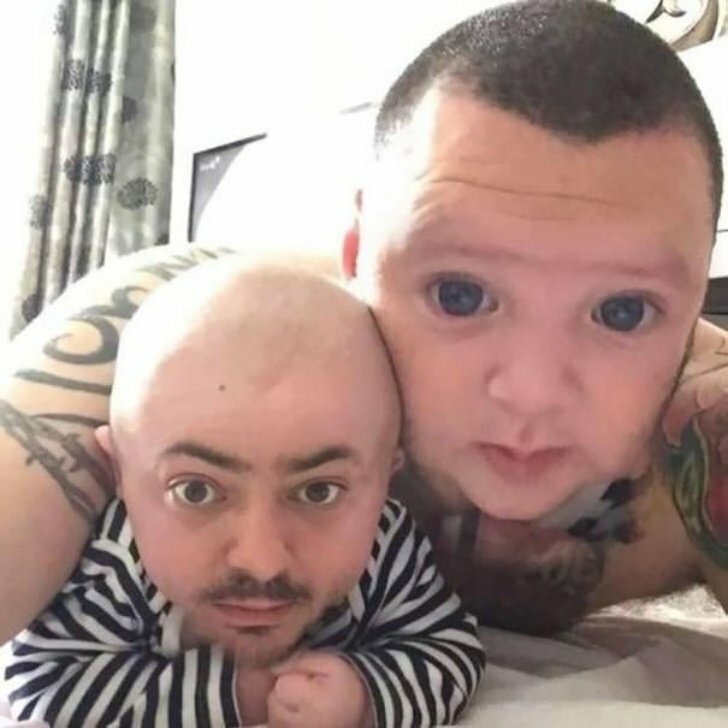 Look both of their faces, look them well. 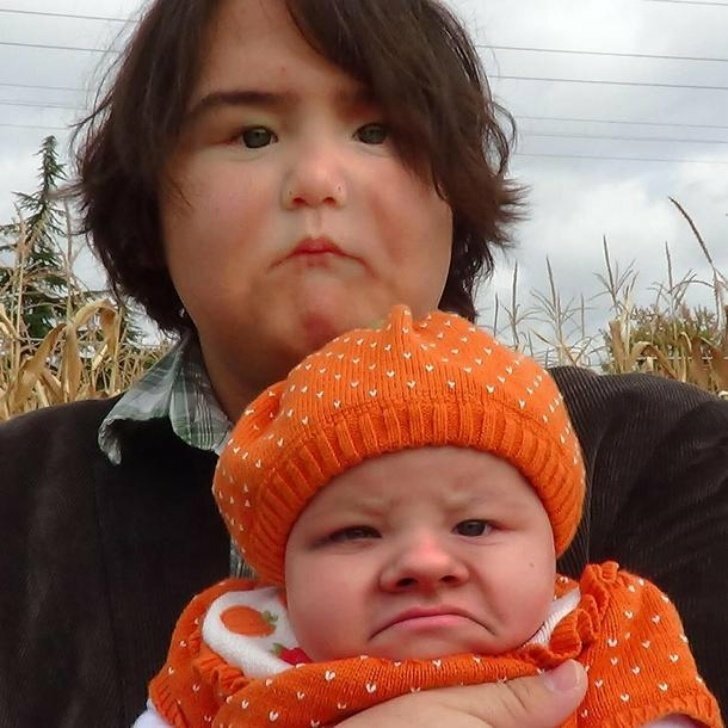 Now, tell me if it was really necessary swap faces. No? See, we think the same. 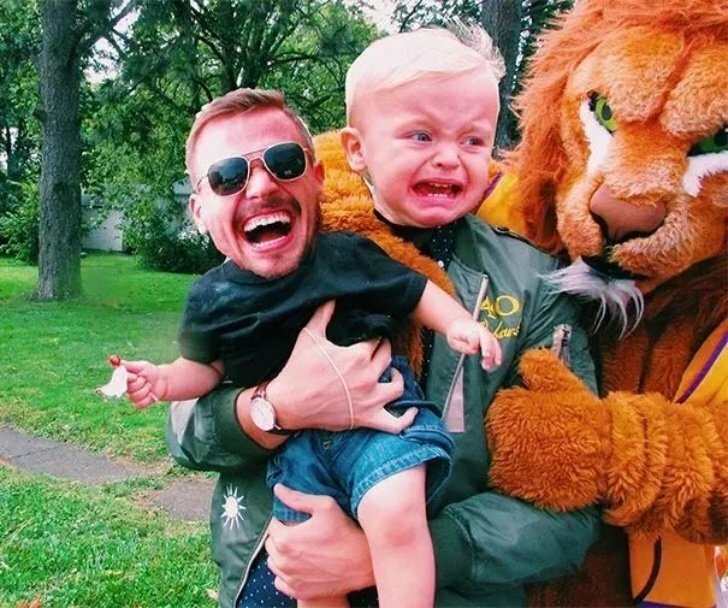 This is a weird result, but we can't stop thinking why didn't they swap faces with the lion as well. That would had made a more weirder photo and another reason to complain. It seems you can't always get what you want. He looks evil. 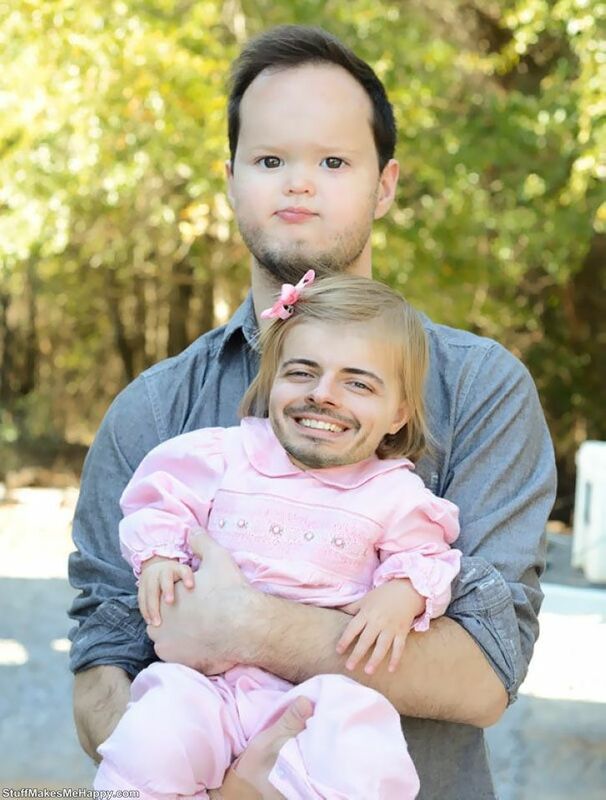 I don't know if it is the moustache, the look, the unporportional way the face fitted inside the the baby, but this looks so wrong in so many ways that I prefer not to say a thing. 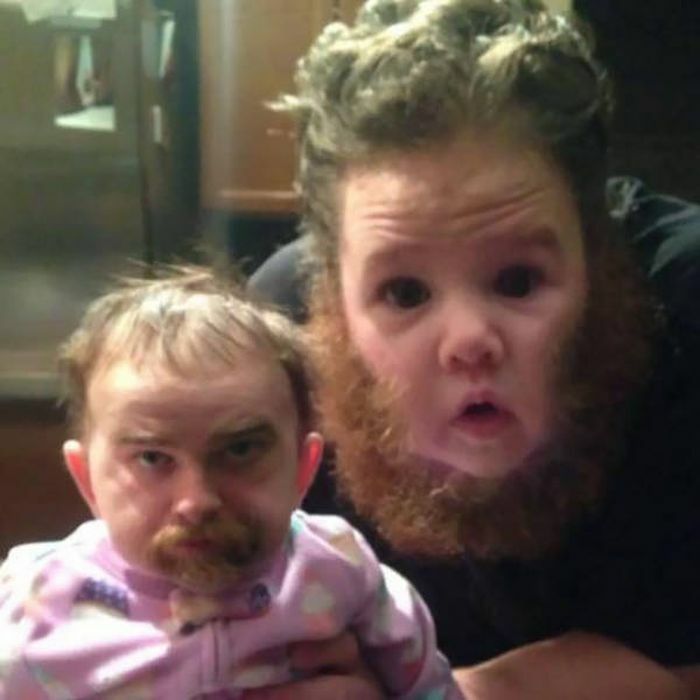 Another weird couple here. 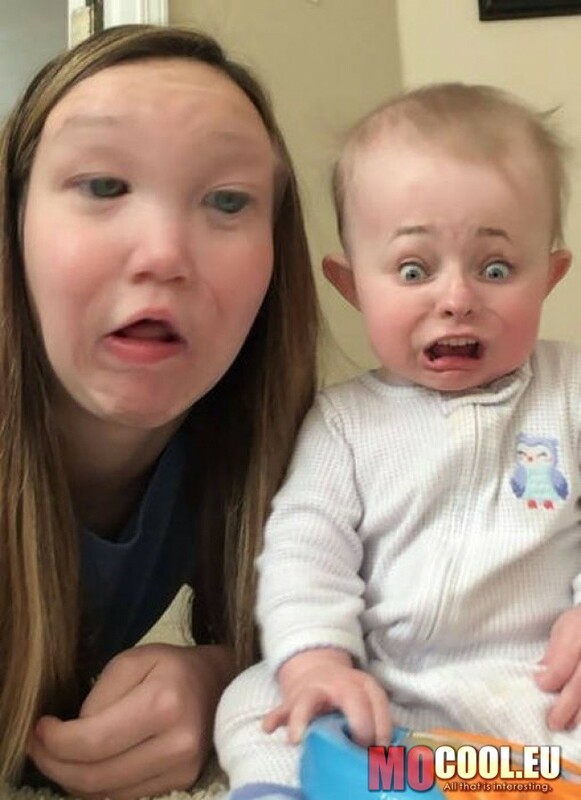 This is what you get when a baby doesn't commit with the noble art of faceswapping. Why did you had to put that face baby? Why didn't you put a regular faces like the ones that aren't babies. Why? I like tiny grandma. You can carry her around easily, you can feed her with formula. Is true that you'll have to bathe her and clean her as well. But still, it's a tiny granda. 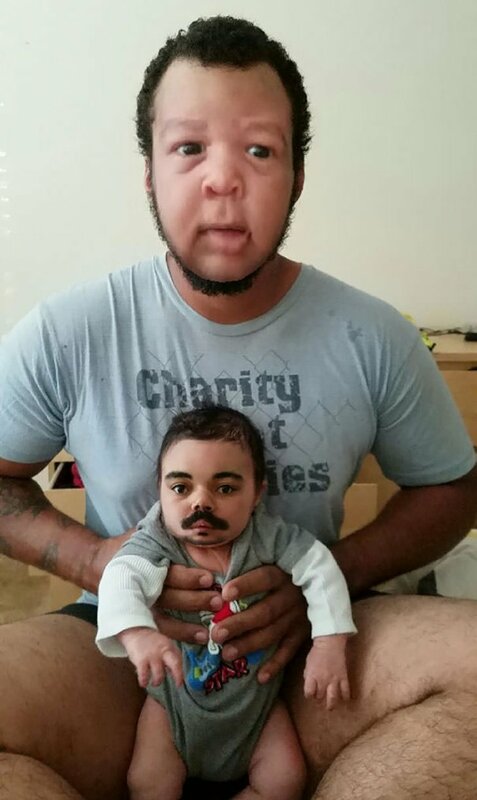 "Faceswap goes wrong" doesn't begin to explain the mess that happened in here. 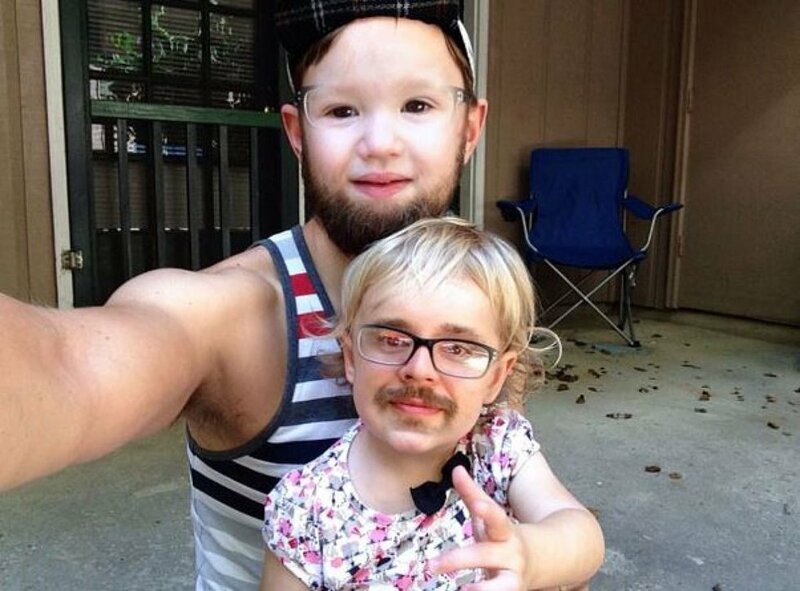 It's creepy, it's wrong, it's the reason faceswap shouldn't be a thing anymore. Please, stop. And then things like this happens. And you think "Hey, it's a cute picture. 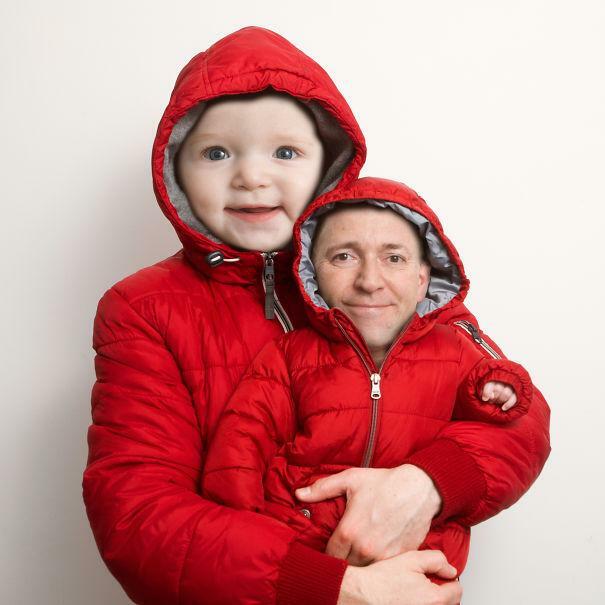 Maybe faceswap is not as bad as i though and could be considered something to be used from time to time". To be fair, this one looks like a caricature of both of them. I cona't say if it is a good one or a scary one, but that's what it looks like to me. I can be wrong, i'm human and sometimes it happens. 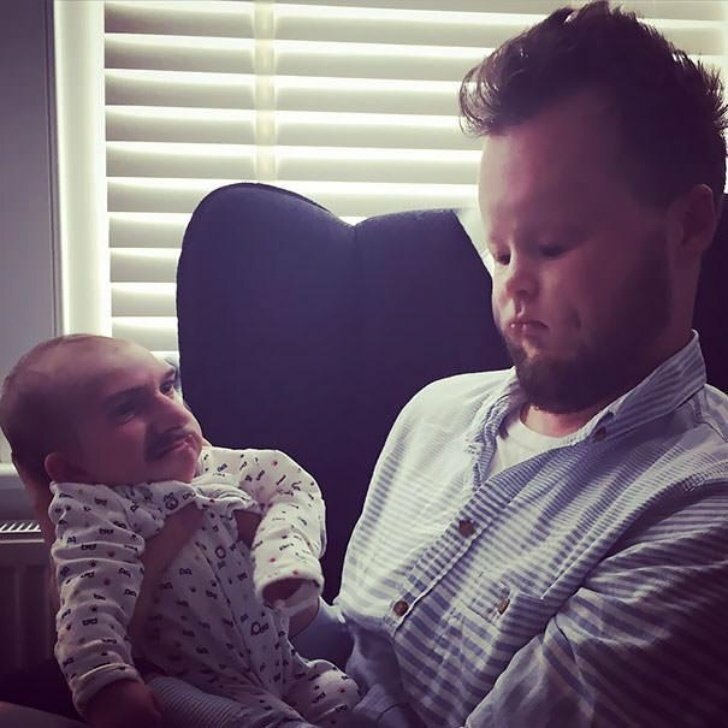 Remember when I told you a couple of pic ago that maybe this whole faceswap trend might be OK in some cases if the effect looks good enough? Here you won't find an example of that. 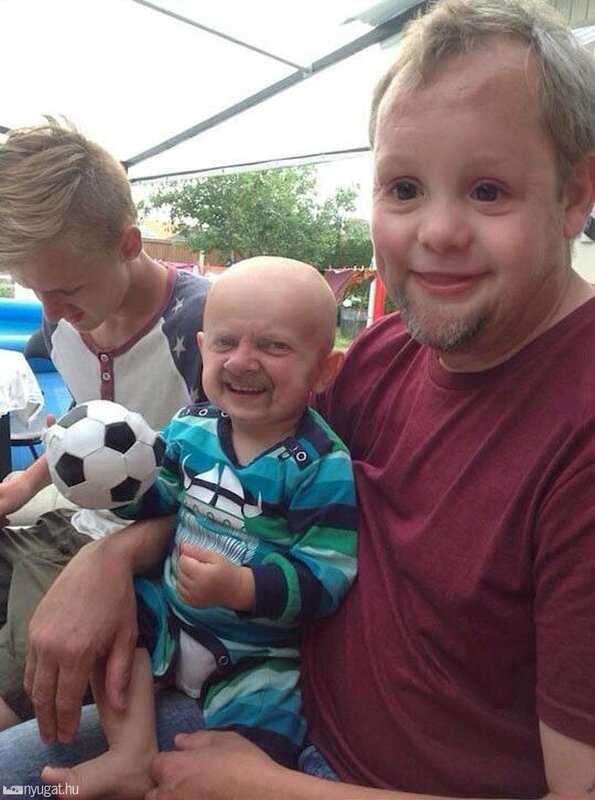 Look how happy is the father's face in his son's body. The other one doesn't look too pleased, but the little one is happy for being swapped. These are really great times for technology. Did we saved the best for the last? 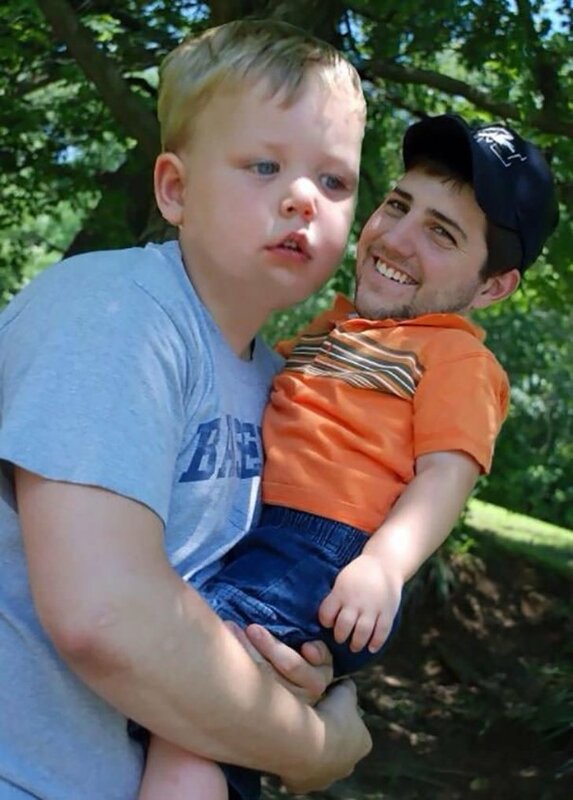 Of course not, here's another example of a kid not putting a proper face for the photo. 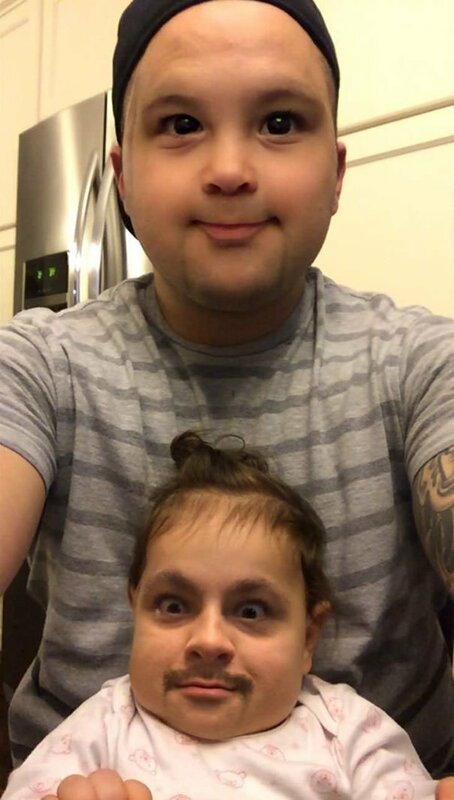 Maybe it's time to start face swapping with something else. Dogs? Dolls? Who knows? 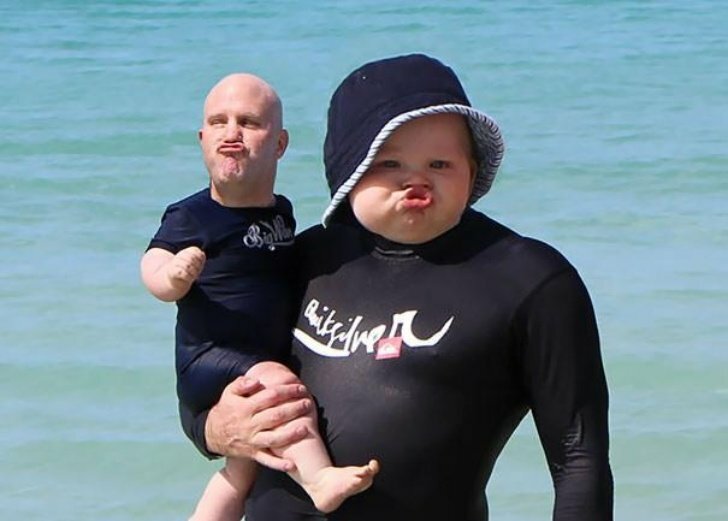 Did you enjoy these ridiculous faceswaps? Be awesome and share this article with your family, friends and fans!